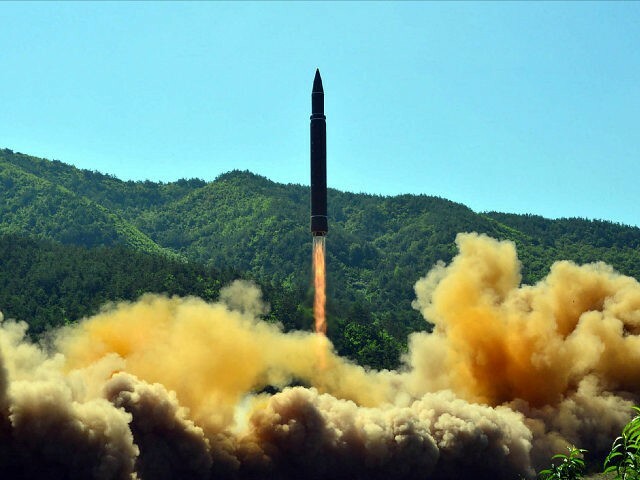 Center for Security Policy President Frank Gaffney discussed the North Korean nuclear missile crisis with SiriusXM host Alex Marlow on Wednesday’s Breitbart News Daily. “The really worrying thing, which Kim Jong-un has now made explicit, is the distinct possibility long warned about by me, and members of our Secure the Grid Coalition – Jim Woolsey, former director of Central Intelligence; Newt Gingrich, former Speaker of the House; Ted Cruz, senator; and many others – is an electromagnetic pulse attack,” he said. “If Kim Jong-un has that capability, I believe that is indeed an existential threat to America and to its people. 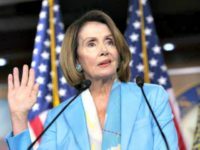 We have to be clear about that, and we’ve got to be about the business of protecting this vital, critical infrastructure immediately,” he urged. “Some people poo-poo this. The most serious, the most competent, the most informed group in the country on electromagnetic pulse and the threats that it poses has been in business since the early 2000s, the Congressional EMP Threat Commission. I urge every one of your listeners to just go look at this commission’s work,” he said. “If you understand the physics of this, and the United States military, by the way, has understood the physics of this since the early 1960s, you realize this is no joke. This is no drill. This is no exaggeration. This is truly, as I say, a mortal threat to our country. We know what to do to protect our grid. That commission has been recommending action on this for about 15 years. We have to get about it because the country – and truly, tens if not hundreds of millions of Americans’ lives – are on the line,” Gaffney said. “Nuclear war of the kind that we’ve worried about in the past, particularly from the Russians, now the Chinese, cannot be dismissed. In fact, both of those countries are expending enormous amounts of money to build not only new nuclear weapons and delivery systems, including hypersonic and maneuvering weapons that are designed to defeat what limited missile defenses we have at the moment,” he pointed out. “So it’s not to say that is not a problem. It’s a problem that is actually getting worse, even though we choose to avert our gaze from it. Barack Obama was insistent we were going to rid the world of nuclear weapons, starting with ours. We pretended that the Russians and the Chinese and so on didn’t matter, even the Iranians, who we’ve now helped move a ‘great leap forward,’ if I can use that expression, towards the bomb,” he said.